Joe Jimenez is to step down after eight years as Novartis chief executive, and will be leaving on a high after last week’s first-in-class CAR-T approval. His successor is to be Vasant Narasimhan, M.D., the company’s current head of global head of drug development and chief medical officer, who will take over the top job on 1 February next year. The company says it conducted a thorough evaluation of internal and external candidates, but decided that Vasant Narasimhan, known as Vas, was the best candidate to take the company forward. 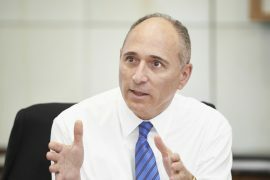 Jimenez joined Novartis from a commercial role at Heinz with no experience in the pharma sector, but over his eight years reshaped Novartis, which is now set to be the biggest company by revenue in the next few years. He steered the company through the patent expiry of its two blockbusters Diovan and Glivec/Gleevec, plus agreeing a $16bn asset swap with GSK in 2015. 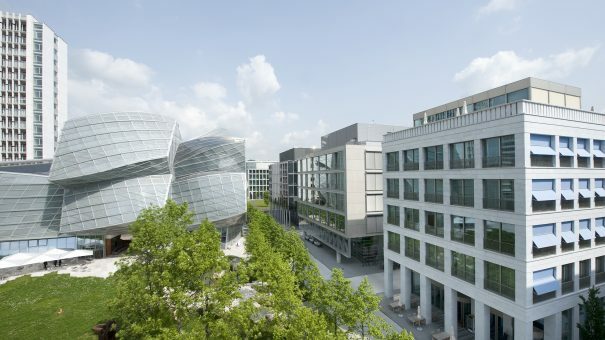 Last week’s approval of Kymriah was a major success for Novartis, and the groundbreaking drug will help it bolster its profile as a leader in oncology. However Jimenez is leaving challenges for his successor, including whether or not to sell off underperforming Alcon eye-care division and its $14 bn dollar stake in its hometown rival Roche. Narasimhan has played a key role in reshaping the interface between drug discovery, drug development and the commercial team, but will now oversee all of Novartis’ business challenges. While the Kymriah approval is a major positive, ensuring the $450,000 drug is a commercial success will remain a challenge – especially as many more immunotherapy challengers are in rival pipelines. 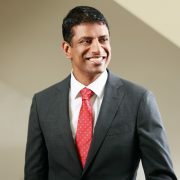 Still only 41, Dr. Narasimhan is part of a new generation of leaders taking over the top jobs in pharma, with both David Ricks taking over at Lilly and Emma Walmsley at GSK this year. Significantly, he is also a trained medic – a rarity these days among pharma CEOs, having earned his medical degree from Harvard Medical School. 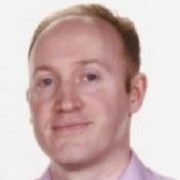 He followed this with a master’s degree in public policy from Harvard’s John F. Kennedy School of Government, first heading to McKinsey and then Novartis in 2005. Narasimhan is a US citizen of Indian descent, and is married with two children, and lives in Basel, Switzerland. Mr. Jimenez will step down as CEO on 31 January 31, but will make himself available for advice and support at the request of the chairman or CEO until he retires from Novartis on 31 August 2018.